Tip: Visit our knowledge base to read more about applications known not to support authenticated proxies and how to put an authentication exception in place for them. 2. 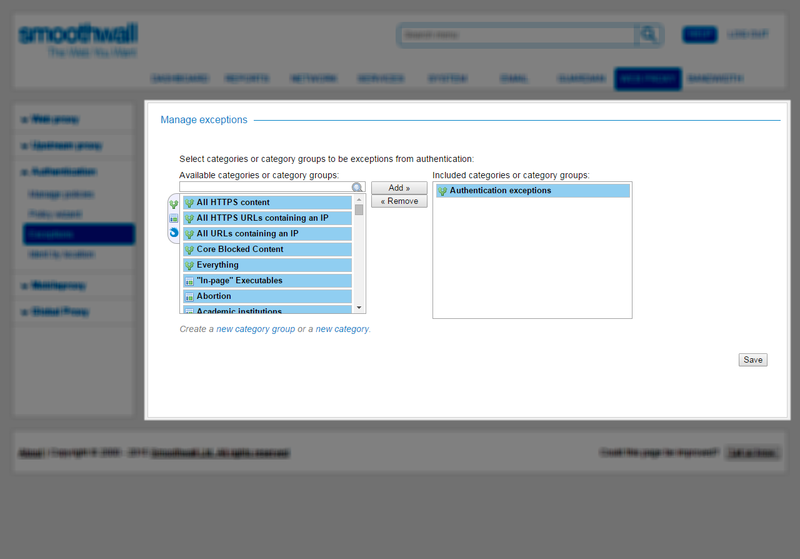 Select the categories or category groups to be added to the authentication exception list.